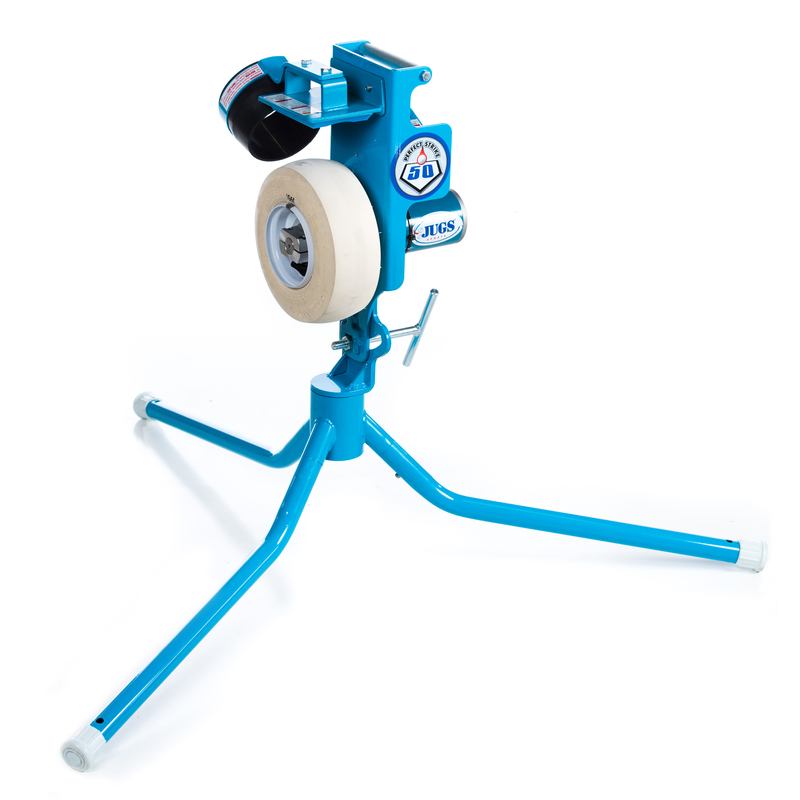 JUGS PS50—the introductory-level pitching machine with the JUGS name behind it. It throws regulation size and weight baseballs and 11" or 12" Softballs. Set your JUGS PS50™ to throw at the exact speed you desire—up to 50 mph. With its digital readout display, you decide what precise speed is best for your players..
PS50 field tests have shown that the majority of all balls thrown are not only strikes, but perfect strikes. 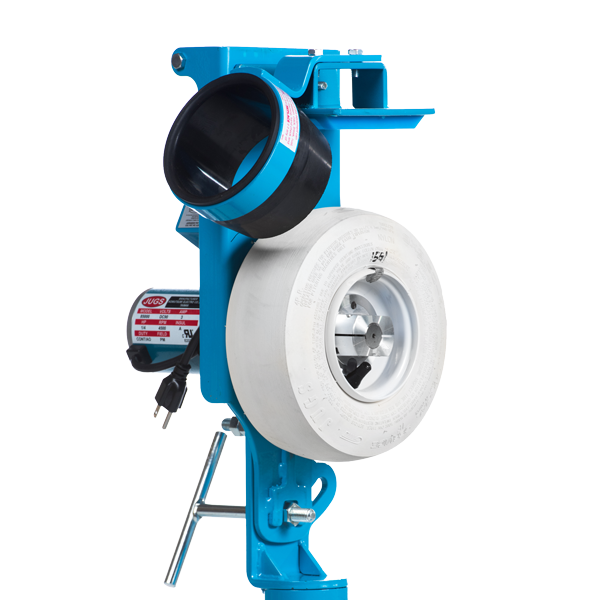 This makes the PS50 the most accurate, portable, real-ball pitching machine of its kind. 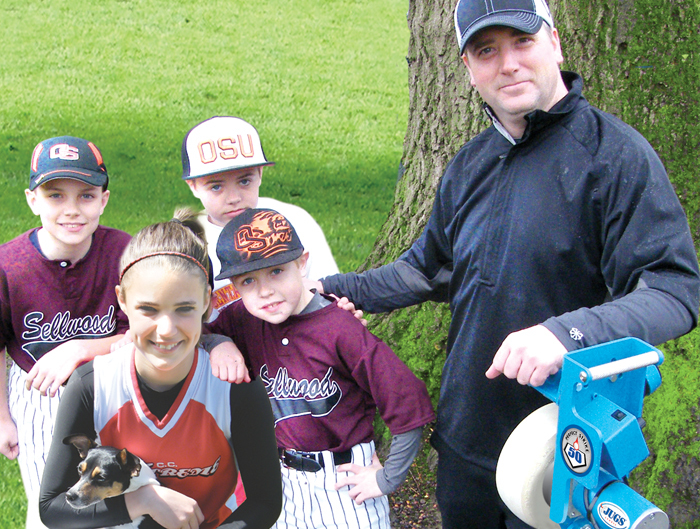 The PS50 comes complete with a 9" chute for baseball and a 12" chute for fastpitch and slowpitch softball as well as adjustable legs. That way you see pitches thrown from a realistic point for both sports. 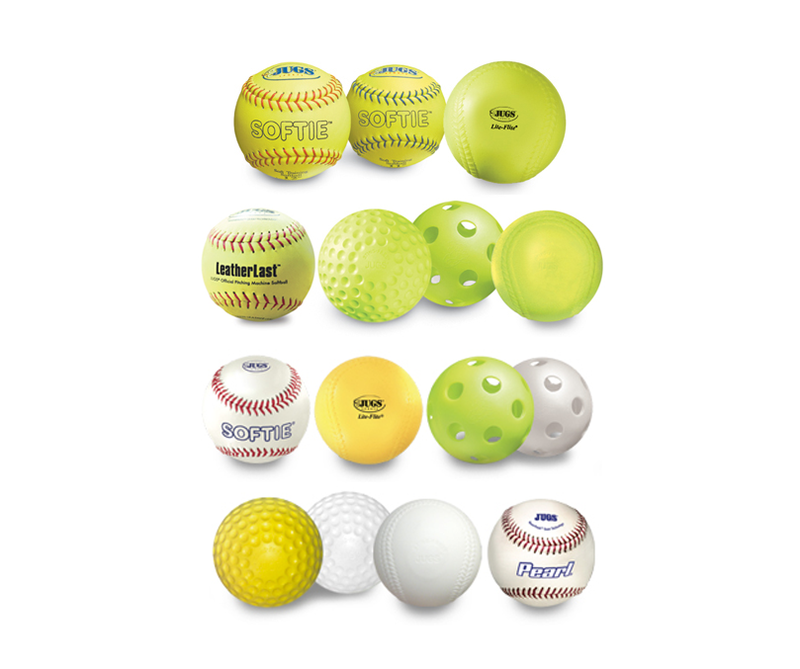 Throws these ball types: The JUGS PS50™ Pitching Machine throws 11" or 12" Softballs, Baseballs, Sting-Free® baseballs—dimpled and seam, Sting-Free® softballs—dimpled and seam, tennis balls, Lite-Flite® baseballs and softballs, SOFTIE® softballs and baseballs, LeatherLast™ Softballs, the JUGS Pearl® and BULLDOG™ baseballs and softballs. The 50 lb. solid-steel construction and patented “Always see the ball delivery system" throws both fly balls and ground balls. We've been disappointed before with "pitching machines" in this price range, but not with the PS50. It's proven to be a heavy-duty, 50 lb. workhorse of a pitching machine. 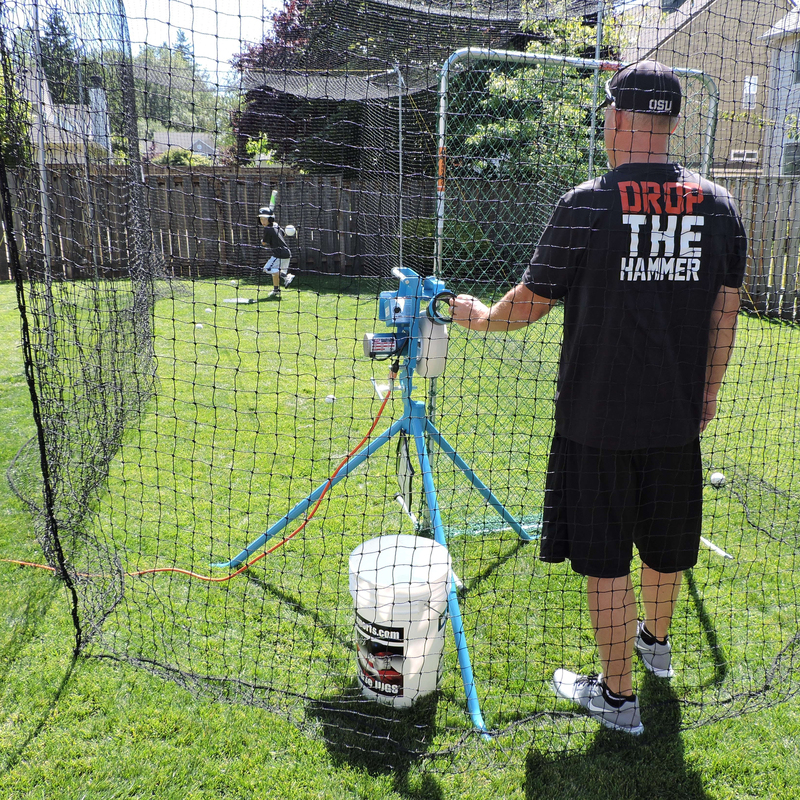 The perfect introductory machine for young baseball or softball players.